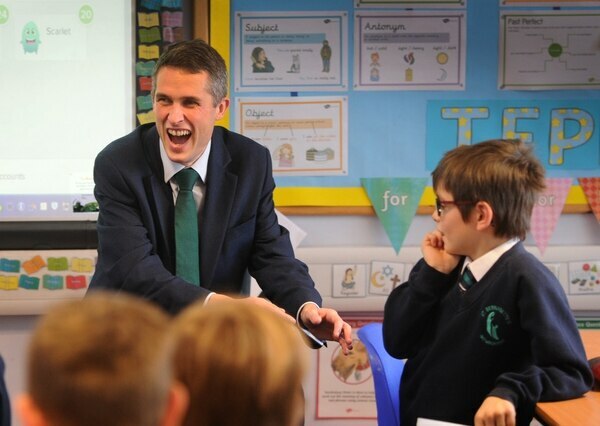 The Commons is tough enough – but new Defence Secretary Gavin Williamson almost met his match when he came face to face with primary school pupils. Fresh from his debut answering questions from MPS in his role as minister, the MP was back in his constituency. That meant fulfilling a visit to St Bernadette’s school in Wombourne, where he faced a fresh round of interrogation. Mr Williamson was there to recognise its success in the last round of Year 6 SATs results and had promised pupils in the top class they could ask him questions about his high-profile role. 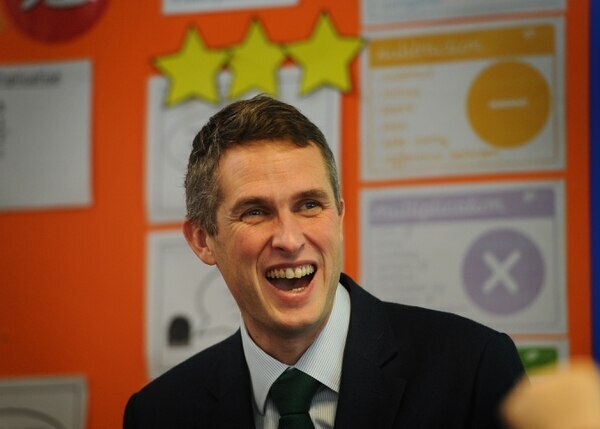 The minister, who has had a dramatic rise in fortunes since being elected as South Staffordshire's MP in 2010, was in a jovial mood as he entered the classroom. He joked: "Have you got lots of very difficult questions for me? Am I going to have to try and avoid them all?" The first enthusiastic pupil asked him if he would like to appear on I'm a Celebrity...Get Me Out of Here! to which he replied "no way". From then the questions really hotted-up. Second to raise his hand was 11-year-old George Smith. Confidently, he asked: "What should happen to people who leave this country to fight for ISIS but decide they want to come back to the UK? If he was surprised by the frankness of the youngster's question, the defence secretary did not show it and answered directly. "I don't think they should be allowed to come back to this country," he said. "One of my jobs is to stop them coming back." The questions, of which there were dozens, did not get any easier. Mr Williamson was asked if had ambitions to be Prime Minister, to which he said no, and whether or not he liked Donald Trump. For the record, Mr Williamson performed a classic dodge, pointing out the US president had a "very important role". Asked a similar question about Labour leader Jeremy Corbyn, he replied: "I don't want to be too political, but, I don't think he believes in this country. "He is one of the most dangerous people in this country and want to do everything I can to make sure he is never Prime Minister." It was not all serious. The amicable MP was also asked about his favourite colour, which is blue, and his favourite cake, which is a victoria sponge. The youngsters were also keen to hear about Mr Williamson's famous pet spider, named Cronus. "My wife and children don't like the spider," he explained, "so I am banned from having him in the house. "I sometimes put him in the dining room and usually they won't notice. I will put something over him so they can't see." A chorus of screams followed as he joked that he had brought Cronus along and imitated to bring him out. 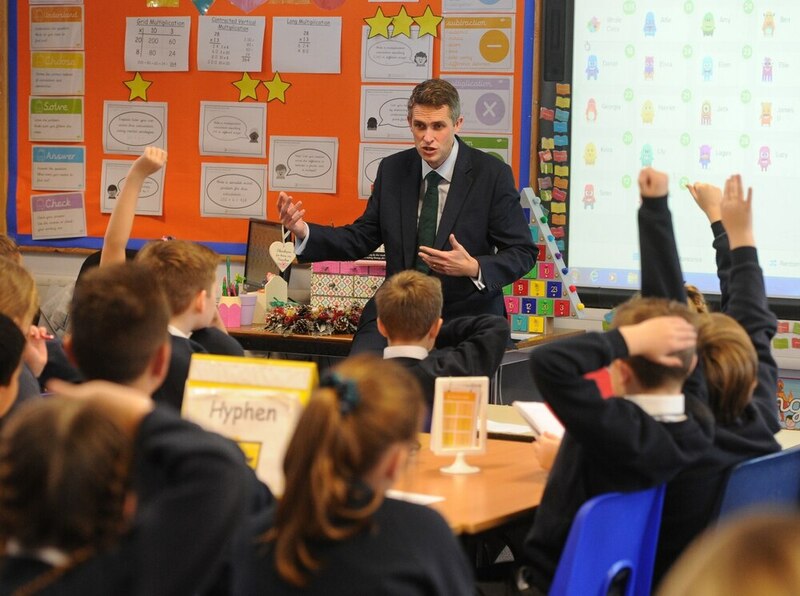 In all he spent around 20 minutes answering questions from the fascinated pupils and it was clear he would have been happy to spend much longer had he not got other appointments across the constituency. Speaking to the Express & Star afterwards, he admitted it was nice to be away from Westminster. He said: "I think frankly that anyone who doesn't want to get away to their constituency is a slightly odd individual. "I am really lucky to have one of the most beautiful constituencies with some of the very best people. "You can't do anything other than try and give your absolute all to represent the area and to do your very best for it. I certainly won't be taking my foot off the accelerator." The school's headteacher, Jayne Keegan-Hobbs, said she was delighted Mr Williamson had come along to visit. She added: "This year we have done really well. 100 per cent of our Year 6 pupils got to the national standard in reading, writing, maths and spelling. "Gavin is a brilliant role model for our kids. He first came in when he was just MP for South Staffordshire and he shows what hard work can do."